“Poetic Devices in Picture Books” will be author Sherry Garland’s topic on Wednesday, April 24, at our Monthly Meeting. Join us at 10 a.m. in the College Station Barnes & Noble. Gentle critique begins at 9:30. All monthly meetings are free and open to the public. Sherry Garland is the award-winning author of more than thirty books for children, teens and adults. Several of her books focus on Vietnam due to her association with Vietnamese families in Houston, TX. As a fifth generation Texan, she sets many of her novels in the Lone Star State. She also loves American History and is the author of the Voices of History picture book series. 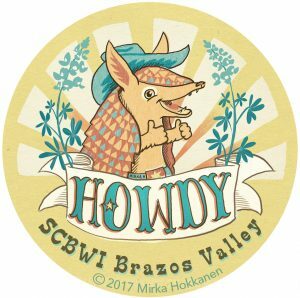 We are delighted to count Sherry as a member of SCBWI Brazos Valley!